The Azub T-Tris 20 is fast and nimble. 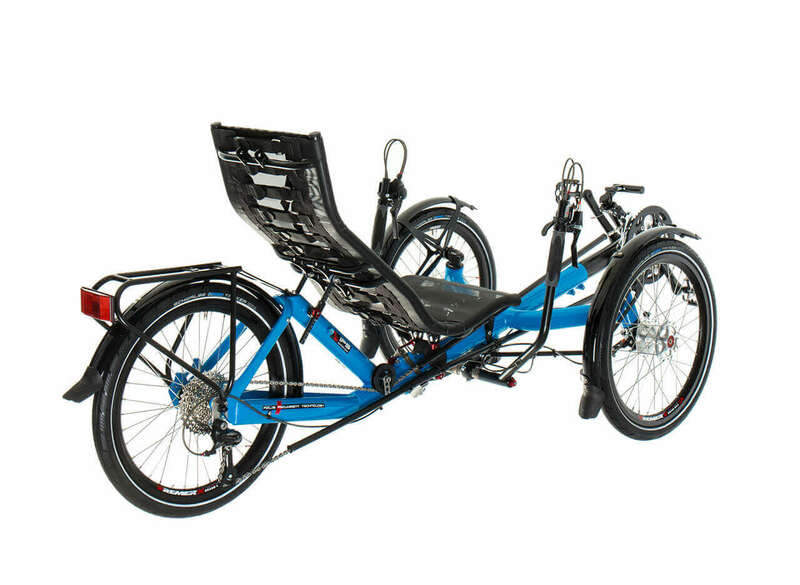 A fun trike to ride that will give you years of enjoyment. 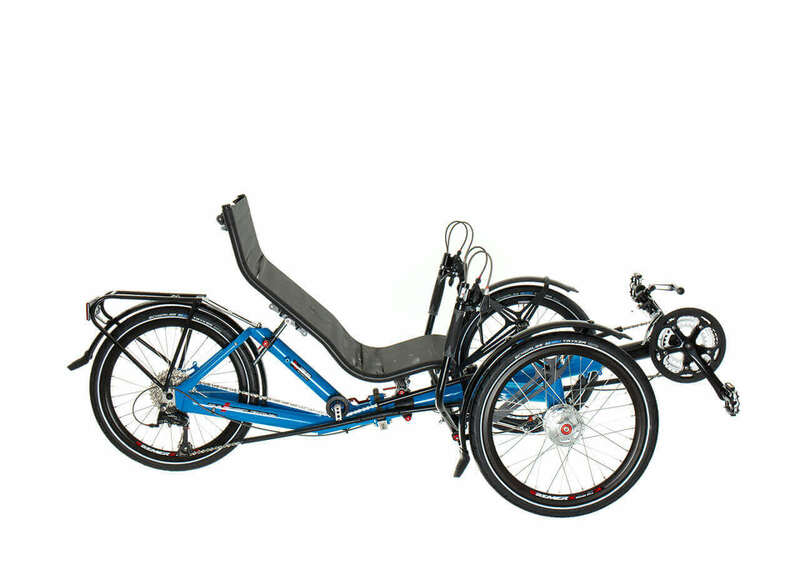 The T-Tris 20 is based on our first and very successful tricycle, the AZUB ECO trike, to which we have added a folding system and kept all its exceptional qualities, such as the top quality riding feel, stability, adjustability and compact size. 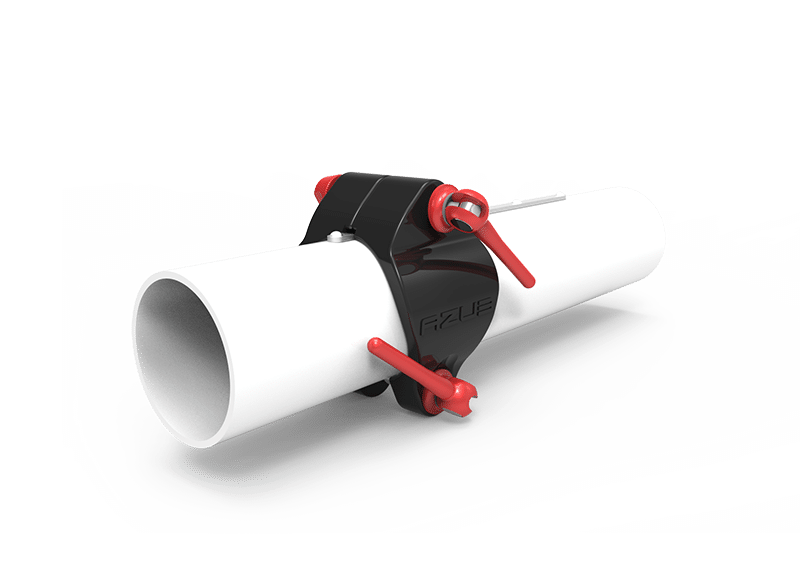 And it is the small dimensions that make the T-Tris a nifty little vehicle with a small turning circle, which when folded can be easily transported in a car or stashed away in your garage. The T-Tris 20 is also popular with customers thanks to its ergonomic comfortable mesh seat that greatly contributes to a comfortable ride, even though the tricycle has no active suspension. If you would like to increase your comfort further, you can opt for the Schwalbe Big Apple balloon tires that perfectly absorb the minor vibrations coming from the road. The stiff frame without suspension enables the rider to have excellent power transmission and the 20� wheels provide superb acceleration and easier ascent. 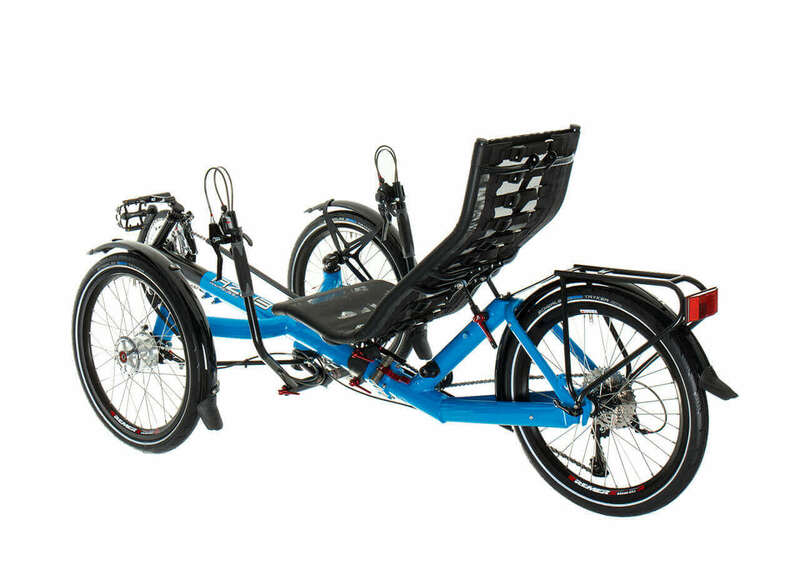 One of the biggest advantages of the AZUB T-Tris tricycle is its folding mechanism. You do not have to lift the tricycle when folding it and after you remove the wheels and the seat, you are left with only a few tiny �packages� which you can simply place among other things in the boot of your car. What is more, the robust lever itself makes folding pure joy. It is not only beautiful to look at, but it is also very easy to operate. And folding the handlebars will just impress you. They will always be perfectly aligned and will not move a fraction of an inch even when braking or when doing some abrupt maneuvers. 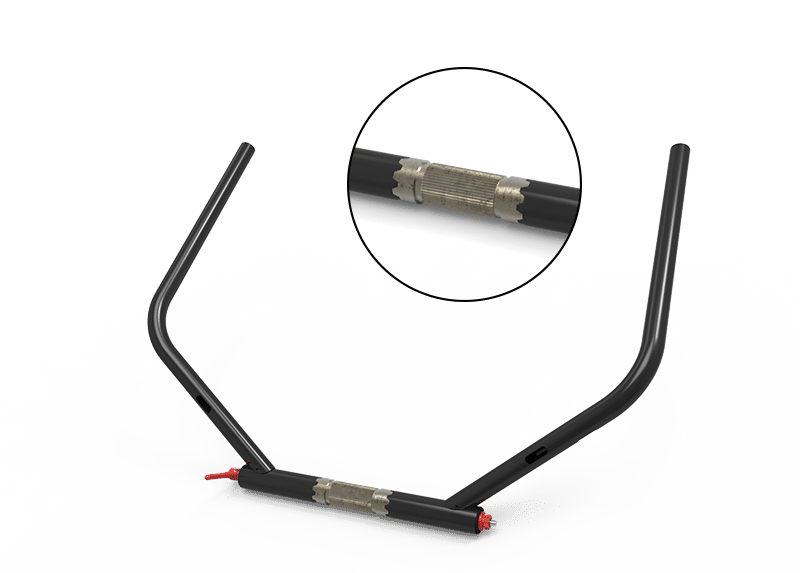 You see, we do not like any compromises concerning function, therefore the handlebar folding system was so important to us that we had made about 15 prototypes before we were satisfied with the result. And today we are really thrilled with them just as customers are. If you are looking for a tricycle which you basically will not have to worry about much, the T-Tris 20 is the one for you. Its overall robust construction, stiff frame without suspension, 20" wheels which provide superb resistance against lateral load when cornering, as well as suitable components give you an opportunity to have a tricycle that will require only minimum service. The legendary Sturmey Archer drum brakes will serve you for tens of thousands of kilometres/miles without having to have the pads replaced, and some of the gear hubs will easily cope with tough everyday use. Alternatively, you can choose the classic combination of 3x8 or 3x9 gears which can be easily serviced in any cycling workshop in the world. �Shall I choose a tricycle with a 20 or 26 inch rear wheel?� This is one of the most frequent questions we get asked. Many people just like the look of the 26" rear wheel and for them it is the biggest factor when they are deciding, but there are some objective reasons why to opt for this size as well. The more so when you learn that we in AZUB have managed to eliminate one of the major disadvantages of a 26" tricycle with rear suspension � its immense flexion when cornering. The 26" wheel has more inertia and therefore it is better at maintaining speed on flat terrain and when going downhill. It is also easier to find the right combination of gears and components because the 559 size (26") is still more common than the 406 (20"). In addition, a larger wheel provides a higher level of comfort, since due to its size it is better at �coasting� potholes as the wheel doesn�t fall in so much, which in turn also makes the trike a little faster. And when you compare the T-Tris 26 with the T-Tris 20, the 26" wheel in the former gives it a kind of a more grown-up look. Overall, the T-Tris 20 also lighter than the 26" version. 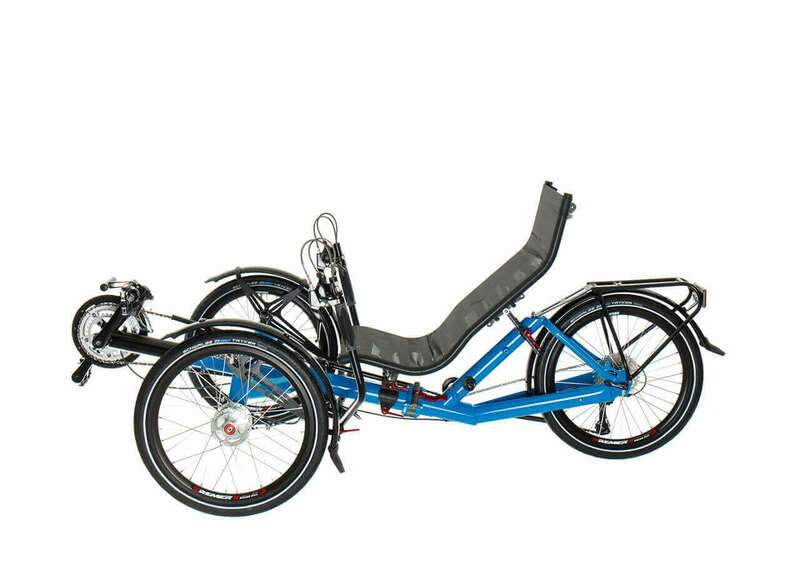 The folding mechanism on our tricycles is positioned in such a way that when you start folding the rear of the frame, the trike slowly �turns� and the rear wheel ends up folded flat. You also remove the seat and, if necessary, also the wheels, so the resulting package is remarkably small. 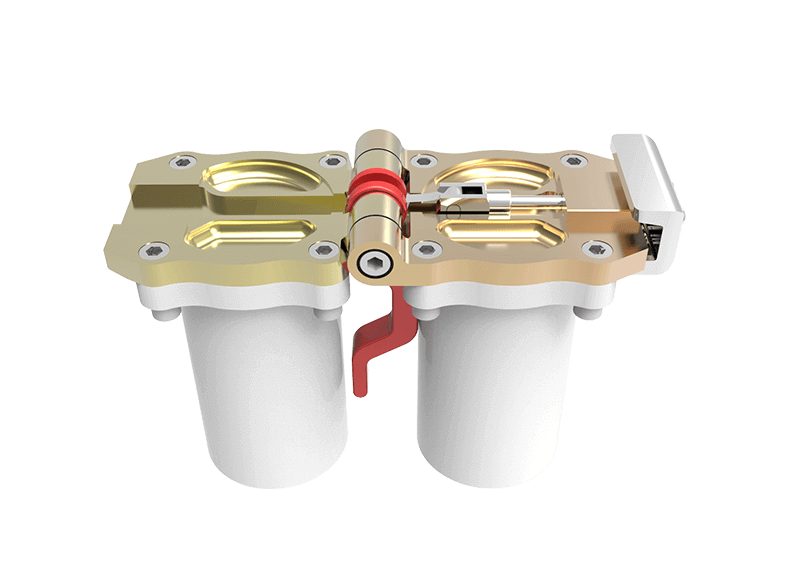 In 2015, we introduced a new folding mechanism we are really proud of. We wanted to create a folding tricycle that would be adequately stiff and whose folding mechanism would be smooth and easy to operate. The feedback from hundreds of AZUB riders has confirmed that we have definitely accomplished what we had planned.